Join international beverage journalist and expert Jeff Cioletti as he explores the tradition, consumption, and production of alcohol on every continent. 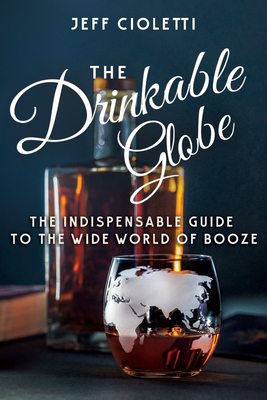 The Drinkable Globe circumnavigates the planet from the Land Down Under, to the Bluegrass state - and even to Antarctica - to uncover the boozy cultures and concoctions that make the world go 'round. Ever tried soju mixed with beer and Coca-cola? How about making your own onion-infused vodka for a bold bloody Mary? You'll get to drink along with 130 recipes from exotic brands and renowned international cocktail personalities.